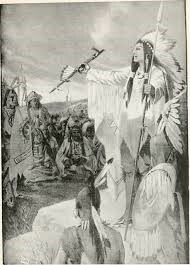 There was a period in my life when I became enamored with “old Native American” stories, also referred to as ‘“Indian folklore” that were passed down from generation to generation. There were stories about Mother Sun and Father Moon and holes in the clouds; holes so big that the great spirits could peer down upon the humans and create their “life happenings”. I was fascinated by these and couldn’t get enough of them. What were they interested in? – Their history, their purpose, their creation, their daily thoughts, their magic, their family, their birth, their death and on and on. What did they want their audience to know, think, feel and say about their story? – They were proud of their heritage that their story included an act of bravery, heroism, achievement or helping others and it was a story their audience felt compelled to repeat to their fellow tribesman and children. How did they craft and tell their story to achieve their goal? From what I have read, I think they personalized it and used character names that the audience was able to relate to. The earth was the Mother and the mother was the protector but she was not always in harmony with Father Moon. In fact Mother Earth and Father Moon often fought over the issues of the humans below. The Mother earth was the lightness and happiness and the Father moon was the seriousness and darker side; but together they were the balance of life. No doubt your story, about your brand, your business, must capture the readers imagination, must motivate them to repeat their purchase and must, and more importantly, repeat your story to their friends and tribal community. “And they fight with each other all of the time. Every day. Over many things,” the Grandfather continues. The grandson looks up at his old grandfather and says, “But grandfather, which one will win? What story will you tell to your tribe while sitting around your campfire?